Based in Rovaniemi, ILAHU Boards makes hand-finished, snow surfboards focusing on natural materials. Recently, ILAHU launched a webshop where the growing community of snow or ‘powsurfers’ can purchase boards direct from the source. The business brings together two complimentary creative skillsets – Jan Leutola a carpenter by trade with experience in fine furniture-making and Maxim Narbrough, a designer with a background in mechanical and ecological design. In addition, sharing an interest in boarding – skate, surf and snow – gave them a strong foundation upon which to build ILAHU. 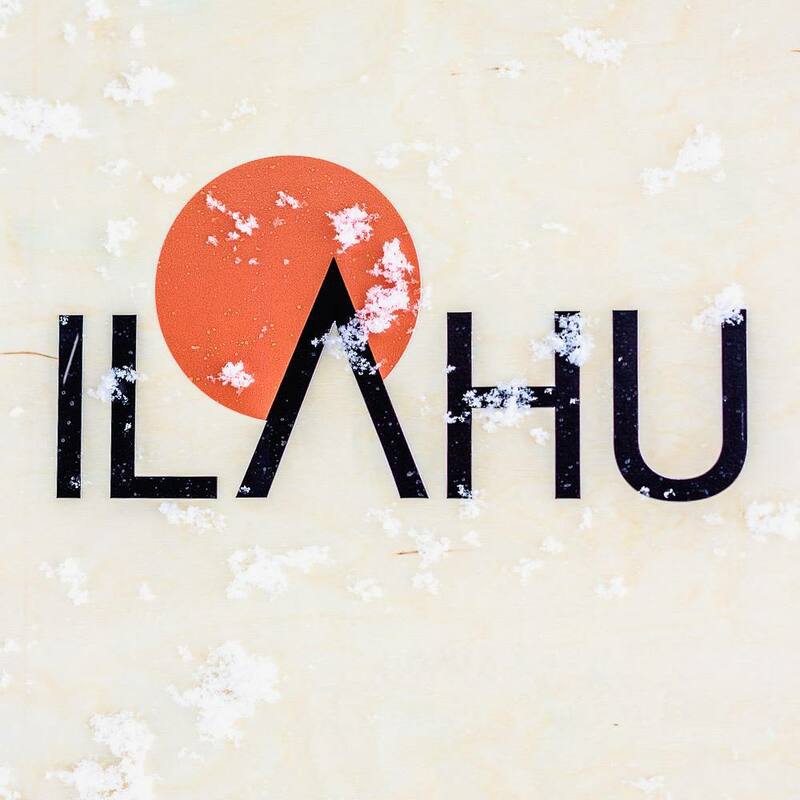 Their location in Finnish Lapland and the recent resurgence in snow surfing are further reasons building a business like ILAHU made sense. Ecological design underpins ILAHU’s approach to business. Maxim explains: “It is essentially applying nature’s values…thinking of things as an ecosystem”. The company is partnered with the climate advocacy group for winter sports enthusiasts ‘Protect Our Winters Finland’. ILAHU also runs a ‘Plant a Board’ initiative where it aims to plant a tree for every board made. In a recent article, Patricia van den Akker of the Design Trust discusses how designer-makers are not just selling a product. Akker argues that today there isn’t a clear distinction between product and service. Designer-makers should build on this to sell not just a product but an experience. ILAHU Boards do just that. The experience is sold through how ILAHU markets the company. Its website features audio-visual content to nurture, inspire and challenge powsurfers. But it also goes beyond this. ILAHU focuses on co-creation, exploring and testing new ideas with its customers. Lapland also attracts visitors keen on this outdoor pursuit. For the first time last year ILAHU ran a ‘Shape and Surf tour’ which combined finishing your own snowboard and then putting it to use in snow-covered Lappish mountains. Jan explains: “Suddenly the product itself became a service. They came to make their own boards, we just showed them how”. While the landscape and climate of Finnish Lapland is at the core of ILAHU, Jan and Maxim’s work is also focused more broadly on product design and development. According to Maxim: “ILAHU fulfils several functions. It’s a project we have been dreaming of for a long time…but it’s also an example of what we can do”. They also run the design and product development company Treeform. Jan explains “Treeform and ILAHU, they share the same values and principles that guide us and our decisions”. Through Treeform they have worked with clients such as the light festival ‘Lux Helsinki’ and the world leading start-up event ‘Slush’ also in Helsinki. Read more about the Jan and Maxim’s work on the Treeform and ILAHU websites or their snow surfing pursuits in their article on Visit Finland. This interview was carried out as part of series we’re carrying out for a creative momentum project. This is to help build our understanding of creative entrepreneurship in peripheral regions and inform the policy recommendations and research emerging from the project.